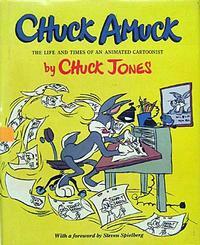 This Saturday, September 21st marks the birth date of animation legend Chuck Jones. Even if the name doesn't ring any bells, if you've ever watched a Warner Bros. cartoon or really any cartoon for that matter, you've more than likely seen one that was directed by Chuck Jones or indirectly influenced by him. His Looney Tunes and Merrie Melodies cartoons are some of the most revered animated works ever created and have influenced countless cartoonists, animators, and filmmakers, as well as making people of all ages laugh out loud. For a full picture of the man, his highly entertaining autobiography Chuck Amuck is a must read. 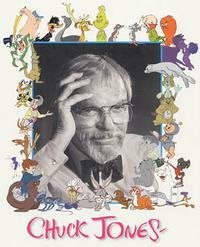 Chuck Jones passed away in 2002 at the age of 89 but his timeless cartoons and characters live on. Nowhere is that more evident when hearing the giggling guffaws of my toddler when he first watched a Bugs Bunny and Daffy Duck cartoon and then turning around to me with a look of wonderment and astonishment on his face saying, "That's funny, Daddy!" It sure is son, it sure is. Here's a Friday Five of some of Chuck Jones' most popular animated works, all available from our collections. Bugs Bunny, Daffy Duck, Elmer J. Fudd, Sylvester the Cat, Tweety Bird, The Road Runner, Wile. E. Coyote, Porky Pig, and Michigan J. Frog are just some of the beloved characters included in this collection of Warner Bros. cartoons. Three of the animated shorts included in this collection that were directed by Chuck Jones, Duck Amuck (1953), One Froggy Evening (1955), and What's Opera, Doc? (1957), have all been inducted into the National Film Registry. Overall, there are 60 classic cartoons restored, remastered, and uncut in this collection; 30 commentary tracks by animators, historians, and directors; 2 documentaries, and more special features than you could order up from the Acme Corporation! These are truly some of the funniest, most beloved, and critically acclaimed animated works ever created. Essential viewing! Besides the cartoons he helped bring to the silver screen at Warner Bros., the next most memorable Chuck Jones production would have to be How The Grinch Stole Christmas! 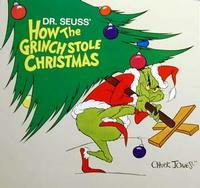 This animated television special really has a "perfect storm" of creative talent associated with it: Dr. Seuss (who wrote the original children's book the cartoon was adapted from), Boris Karloff (famous actor known for his role in Frankenstein, narrates the story, as well as lends his distinctive voice to "The Grinch" himself), Thurl Ravenscroft (famous voiceover actor known for being the voice of the Frosted Flakes cereal mascot "Tony The Tiger", but who also sang the featured song in this special, "You're a Mean One, Mr. Grinch"), and Chuck Jones (produced, directed, and wrote the adaptation). How The Grinch Stole Christmas! is not only an animated classic, but a holiday tradition for children of all ages. After his success at Warner Bros, Chuck Jones worked for MGM for many years where he produced, directed, and wrote 34 memorable animated shorts from 1963 - 1967 with the most famous cartoon cat and mouse around, Tom and Jerry. Like the Looney Tunes and Merry Melodies cartoons, these animated shorts were originally shown before feature presentations at movie theaters but would later find a renaissance and whole ned audience in the 1970s and 1980s when they ran in television syndication and were seen by countless children everyday after school. Standouts on this collection include "Pent-house Mouse", "The Cat Above and the Mouse Below", and "The Cat's Me-Ouch". Loosely based on the 1961 book by Norton Juster about a boy named Milo who is bored with the world around him, unexpectedly receives a magic tollbooth one afternoon, and decides to drive through it in his toy car, winding up transported to a weird world of fantasy. Chuck Jones produced and directed this live-action / animated / musical hybrid of a movie that was truly groundbreaking for its time. Equal parts children's story and psychedelic freak-out, the film is awash in lush colors, striking animation, catchy songs, and maybe even teaches a lesson or two. Juster had no input into the film adaptation however, and publicly stated that he was not particularly fond of it. Movie review site Rotten Tomatoes gives the film a 100% "Fresh" score though. In the seemingly never-ending "book version" vs. "movie version" argument, The Phantom Tollbooth may be right at the top of many people's lists. Once again Chuck Jones goes the live-action and animated route in this adaptation from 1995 of the classic musical fairy tale about a boy named Peter who with some animal friends has to fight off a hungry wolf. Chuck contributed character designs to this version which features Kirstie Alley, Lloyd Bridges, and Ross Malinger in both the live-action segments and as voices in the animated parts of the story. All of the music for the production was performed by the RCA Victor Symphony Orchestra conducted by George Daugherty. Peter and The Wolf was originally broadcast on ABC in December 1995 and received a Primetime Emmy Award for Outstanding Children's Program the following year. Leave us a comment and let us know some of your favorite animated shorts, films, or tv shows!